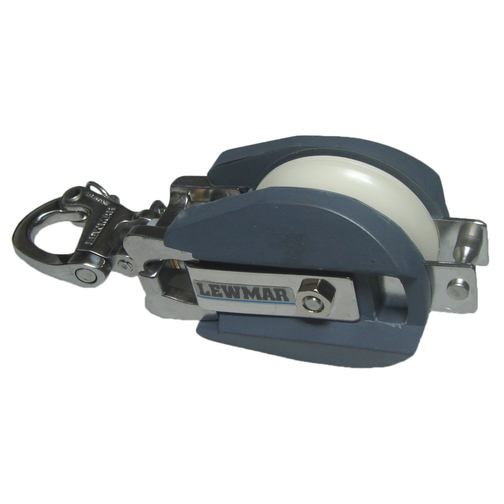 A strong, lightweight standard single block with a stainless steel fully swivelling head and becket. 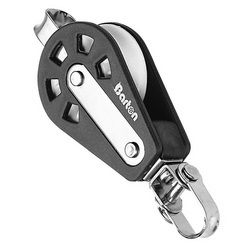 Barton Size 3 Standard Single Block is a strong, lightweight block with a stainless steel fully swivelling head, connected with a clevis pin, and stainless steel becket. Manufactured with a plain bearing constructed of a precision moulded acetal sheave running on a large diameter brass bearing, ensuring free running under the highest of loads. 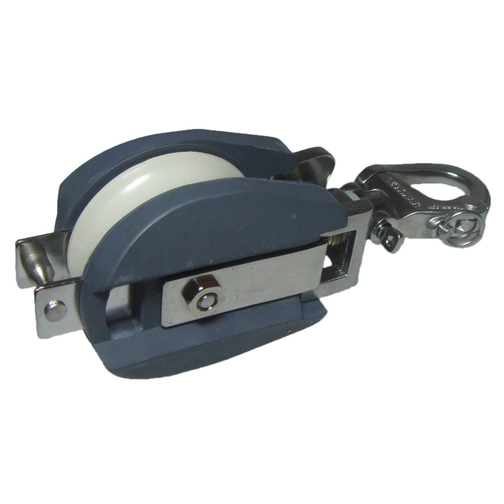 Please note: Safe Working Load and Break Load information is provided by the manufacturer.